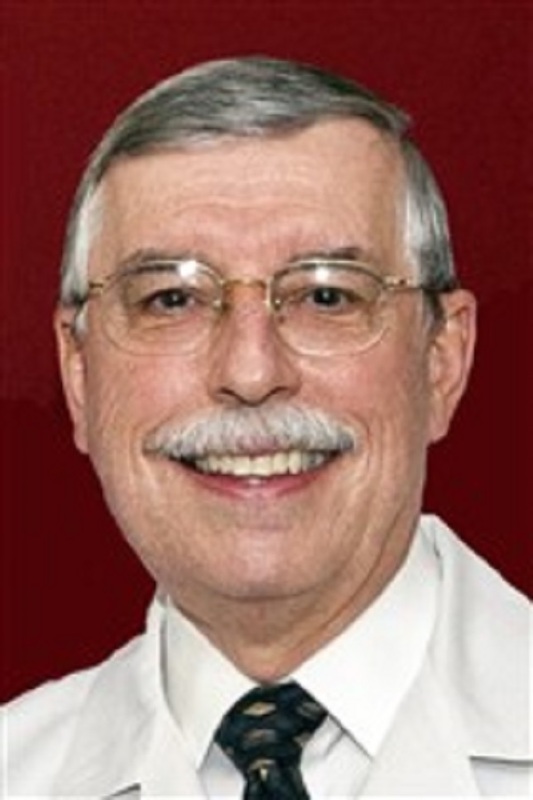 H. Michael Lambert most recently served as a Professor of Ophthalmology at Weill Cornell Medicine and the Houston Methodist Institute of Academic Medicine. AUSTIN, TX, September 26, 2018 — Marquis Who's Who, the world's premier publisher of biographical profiles, is proud to present H. Michael Lambert, MD FACS, with the Albert Nelson Marquis Lifetime Achievement Award. An accomplished listee, Dr. Lambert celebrates many years' experience in his professional network, and has been noted for achievements, leadership qualities, and the credentials and successes he has accrued in his field. As in all Marquis Who's Who biographical volumes, individuals profiled are selected on the basis of current reference value. Factors such as position, noteworthy accomplishments, visibility, and prominence in a field are all considered during the selection process. Amassing over forty years of professional excellence in medical education, Dr. Lambert most recently served as a Professor of Ophthalmology at Weill Cornell Medicine and the Houston Methodist Institute of Academic Medicine. In June of 2018 he was named an Emeritus Professor of Ophthalmology. He formerly held the roles of Associate Professor of Ophthalmology at Baylor College of Medicine and the Emory Eye Center, Chief of the Division of Surgery at the Wilford Hall United States Air Force Medical Center, Chairman of the Department of Ophthalmology and residency program director at Wilford Hall. During this time Dr. Lambert also served as a Consultant and Chief Consultant to the Air Force surgeon general during and after retirement as a civilian consultant to the surgeon general. He also served as the Chief of Ophthalmology for the Joint Military Medical Command which for a time merged the Wilford Hall and Brooke Army programs. Likewise, he was the commissioner for the Joint Commission for Accreditation of Health Profiles in Ophthalmology from 1987 to 1990 and the founder of Retina and Vitreous of Texas in 1997. Dr. Lambert spent a significant portion of his career in the United States Air Force, having graduated from the United States Air Force Academy in 1970, serving as a USAF T-38 pilot instructor from 1970 to 1974, and advancing to the rank of Colonel, retiring from the military in 1990. He earned a Doctor of Medicine from the Baylor College of Medicine in three years in 1977, completing a residency in Ophthalmology at Wilford Hall United States Air Force Medical Center in 1982. Thereafter, he completed a fellowship in vitreoretinal surgery at Duke Eye Center in 1983. Dr. Lambert is a diplomate of the American Board of Ophthalmology and a Fellow of the American College of Surgeons. A contributor of multiple articles to professional journals, Dr. Lambert is the inventor of numerous surgical instruments and procedures with Alcon, Storz, Bausch & Lomb, and Iridex, among other corporations. He spent some years trying to create a treatment for macular degeneration with stem cells and he is currently developing a new system for vitreous surgery. In order to remain aware of recent developments within the industry, he maintained an affiliation with the Society of Military Ophthalmology until its demise, where he served as president from 1988 to 1989, as well as the American Medical Association, the Association for Research in Vision and Ophthalmology, the American Society of Retinal Specialists, and the Texas Ophthalmological Association. A councilor of the American Academy of Ophthalmology, he is also an esteemed fellow of the organization. As a testament to his professional success, Dr. Lambert has accrued multiple accolades throughout the course of his career. He was listed on the peer nominated Best Doctors in America and America's Top Doctors as well as Texas Monthly's Super Doctors from their inception until his retirement. He was recognized as an “Innovator in Surgery” by the Storz Instrument Company and the American Academy of Ophthalmology and American Society of Retinal Specialists presented him the Honor Award and Senior Honor Award. The Outstanding Ophthalmology Graduate Award from the San Antonio Uniformed Services Health Education Consortium was named after him at its inception, the Michael Lambert MD Award. He was also awarded the Alumni Award from his high school in Ohio in 2014, the Alumni award from Houston Methodist Hospital in 2015, and an Emeritus Professor in 2018. Dr. Lambert, after full time retirement in 2013, continued giving back. He became a founding director of the USAFA Endowment, a co-founder of the Machemer Foundation at Duke University, the founder of the Greenon HS Foundation and co-founder of the Giampetro Scholarship in Ohio, on the board of directors of the Nantucket Retina Foundation, the Guide Dogs of Texas, L3 Lives of Leadership Organization, and serves as a patient consultant for the Scripps Proton Beam Center in California as well as the President of the Central Texas Chapter of the USAFA AOG. He also works doing charity care at I Care San Antonio. He has also filed multiple patents for a new multifunctional vitrectomy system to improve surgery and results in vitreoretinal patients. In recognition of outstanding contributions to his profession, to multiple organizations and the Marquis Who's Who community, Dr. Lambert has been featured on the Albert Nelson Marquis Lifetime Achievement website. Please visit www.ltachievers.com for more information about this honor.